This original piece of Arabic calligraphy says “One heart recognizes another when they meet” in diwani script. 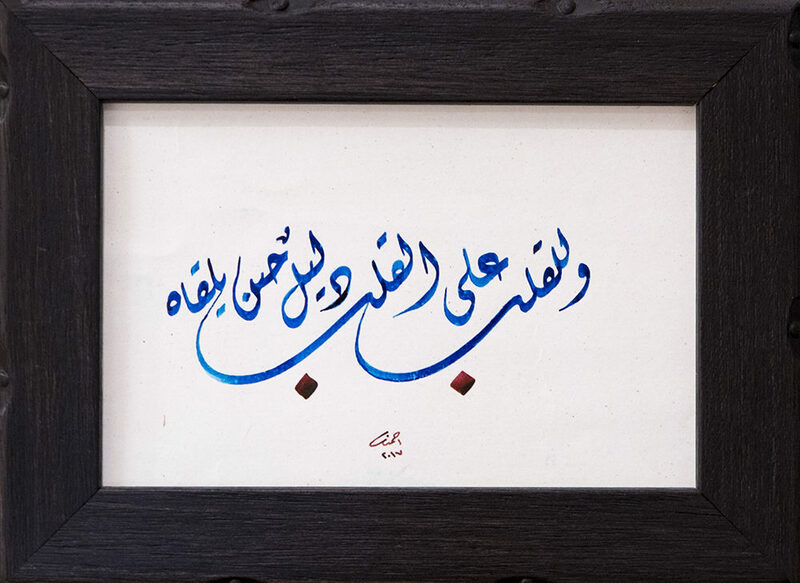 The design uses black, blue or red ink and is signed by the artist. 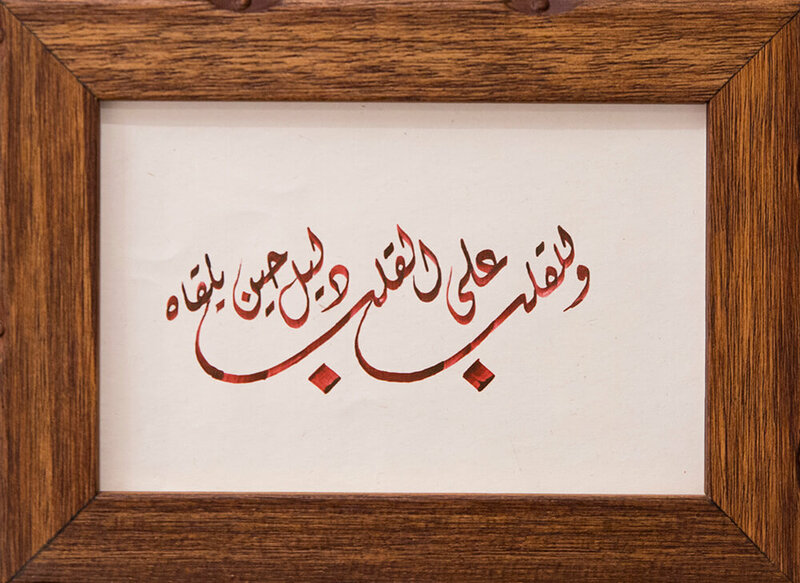 It comes in a dark or light brown wooden frame, and includes a label with a translation of the text in English.